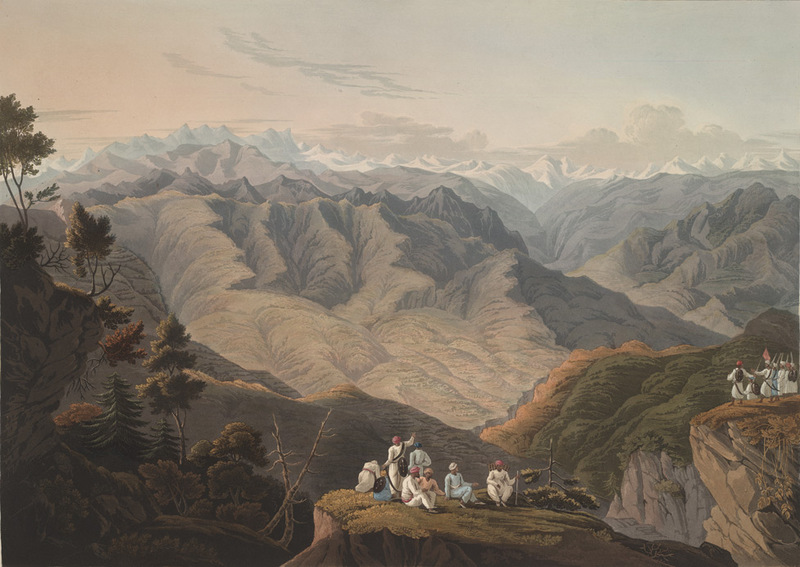 This coloured aquatint by Robert Havell and Son from plate 3 after JB Fraser 'Views in the Himala Mountains'. On 18 June 1815 Fraser and his brother William reached Urshalun, near to where the Nepalese General Kirti Rana had surrendered. Three days later James celebrated his 32nd birthday by climbing the peak, Tiba, behind the village.